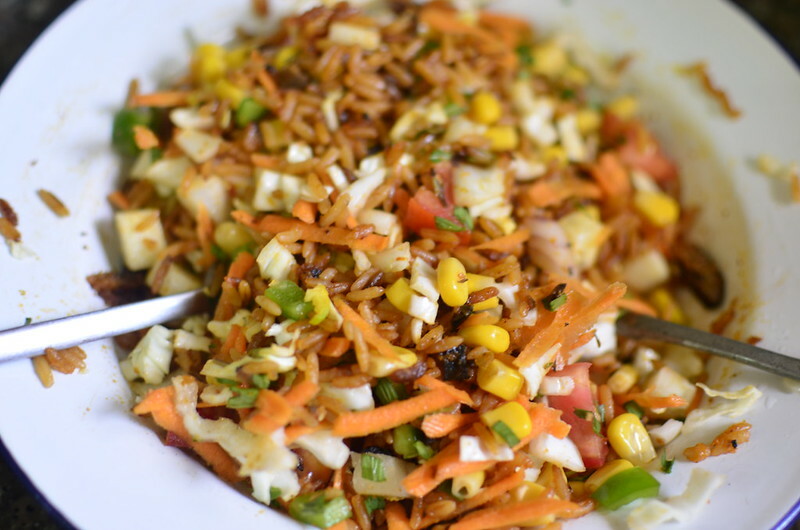 Jollof Rice salad because #FitFam and because this combination is the best of both worlds – Jollof rice and ‘Nigerian salad‘. 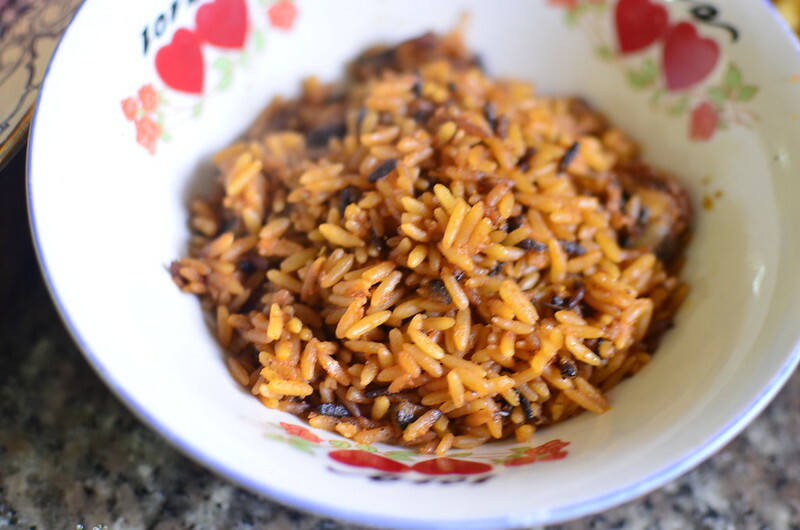 Did I also mention how great it is for leftovers – that time when you have Jollof…but not enough to make a meal? 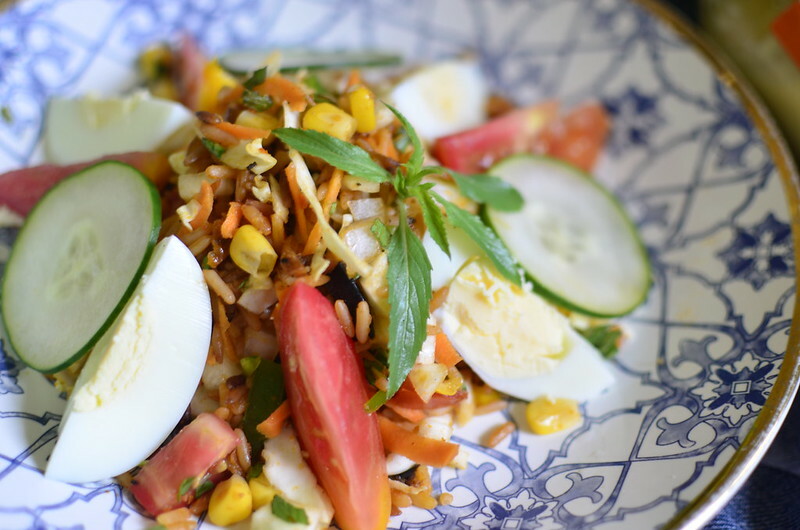 This salad to the rescue. Get some rice – I like mine warm. 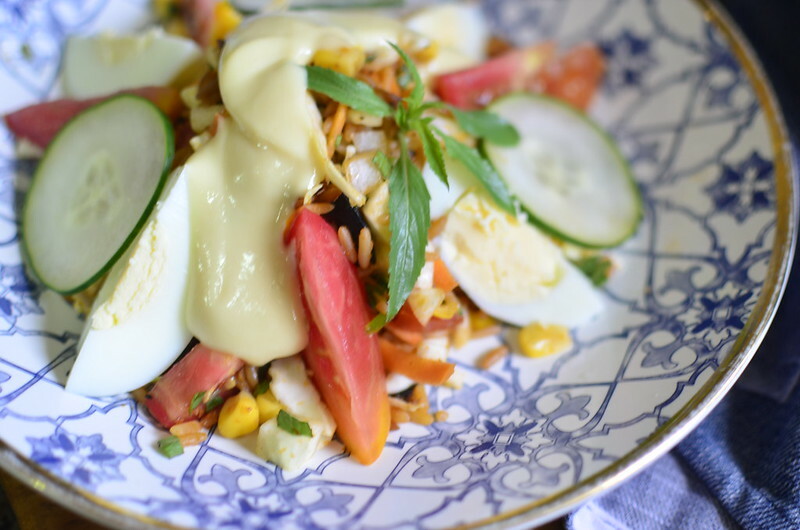 Prep your salad if you don’t have it already. 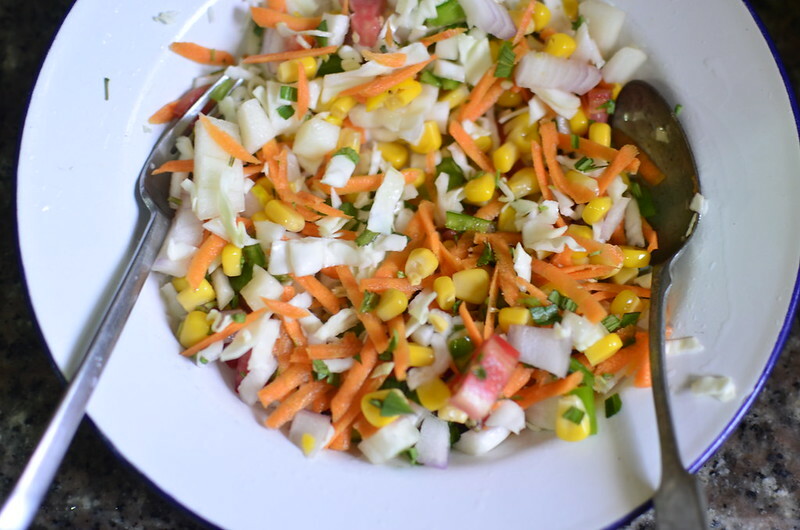 Into mine went cabbage, carrots, cucumber, green bell peppers, onions, chili, herbs and …. …but feel free to combine how you will though I wouldn’t use less than a half portion of rice because you really begin to lose the flavour, in my opinion. 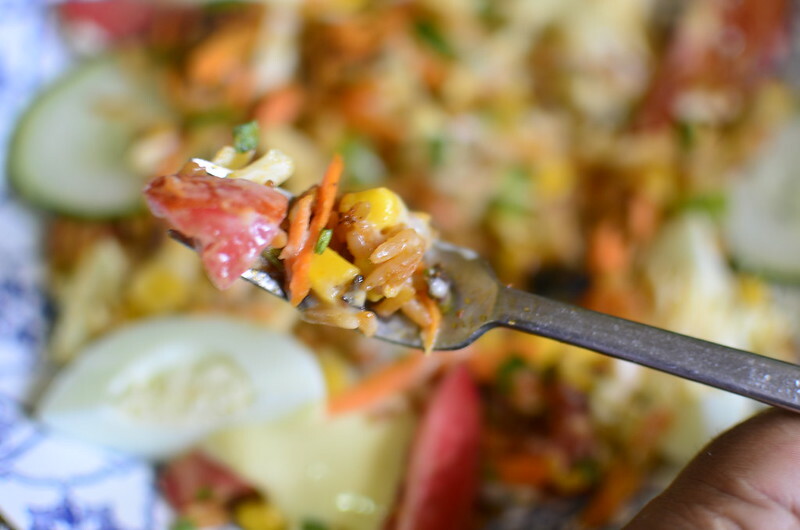 If you want more heft, then increase the ratio of rice in the mix. 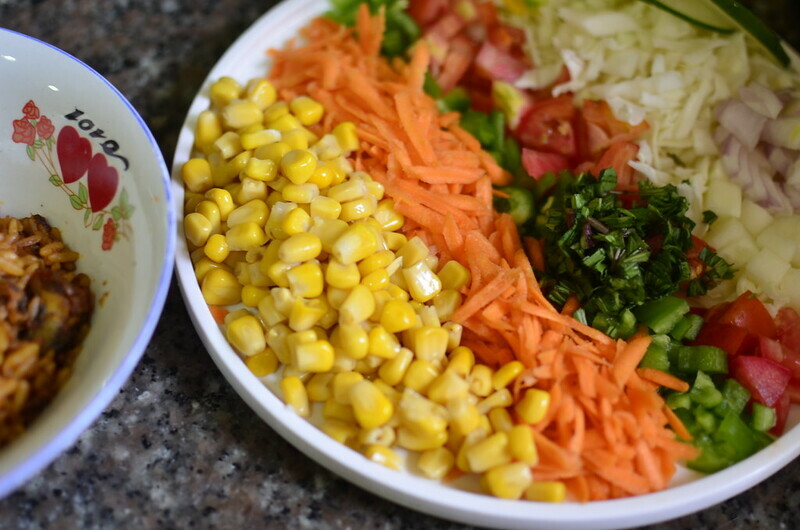 I combine the salad ingredients – and feel free to do you here. Add some suya (grilled meat), any veg you like – plantain, eggplant, courgettes, really anything that works for you. Also think of garnishing – I went with boiled egg and tomato wedges, as well as cucumber slices. And then I plate. 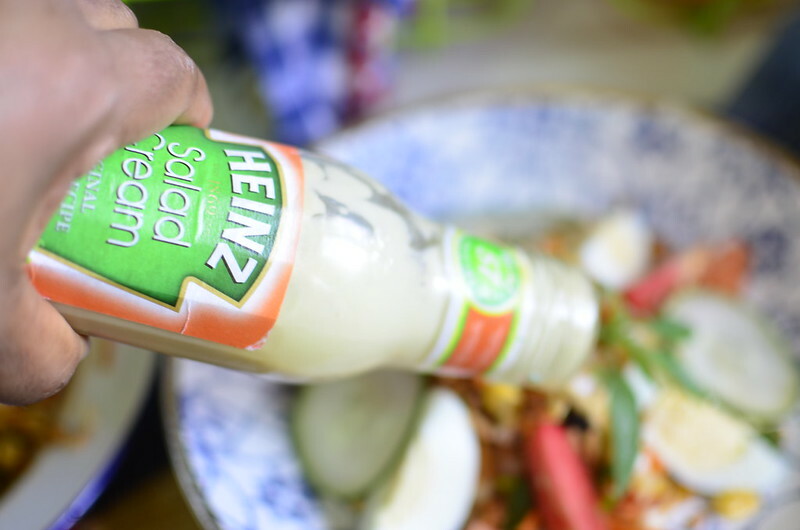 And this is where everything goes to pot 🙁 because I know it’ll taste amazing with Heinz salad cream *cries in tears of calories lost and promptly gained*. 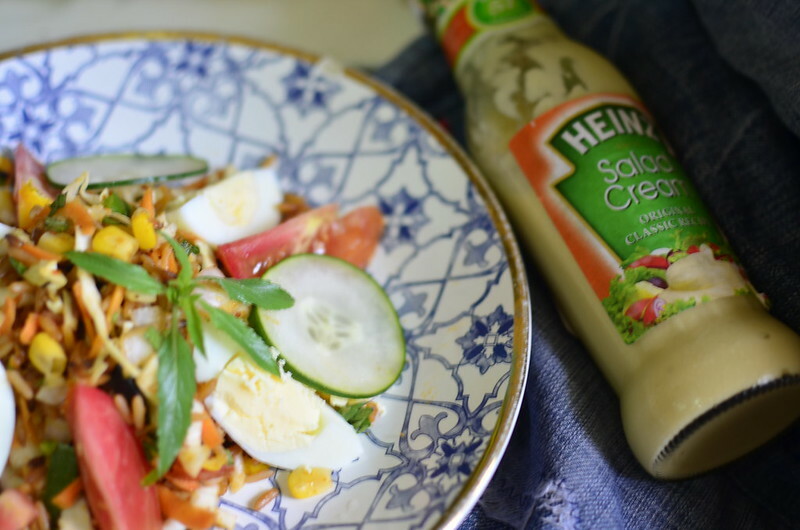 Oh whatever, put a dollop or two of salad cream on your plate and enjoy. You’ve only had half the rice you might have anyway. Commendable still. What does it taste like? Delicious and fresh. Crunchy, chewy, sweet and spicy. 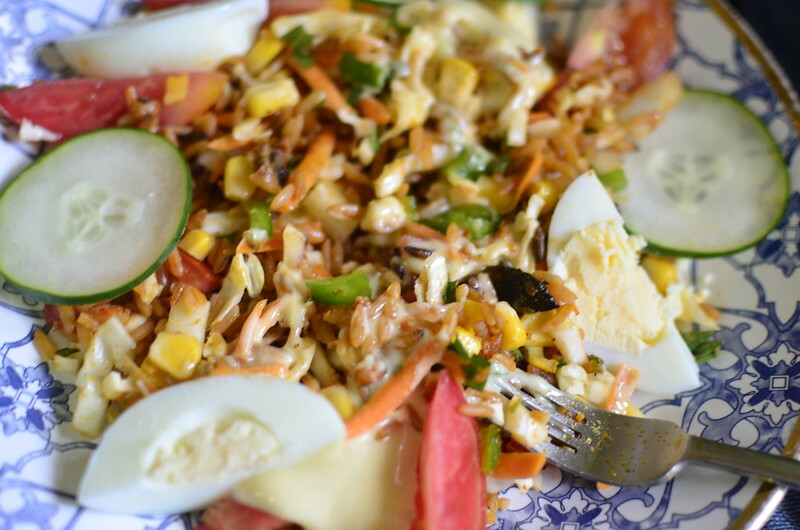 Everything we love about Jollof…and Salad. Whatever you do, pat yourself on the back – you done good.